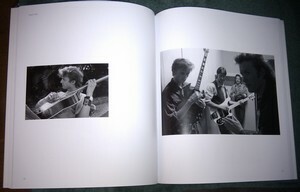 The 96-page photo book a-ha photographer Just Loomis was published in Norway earlier this week. 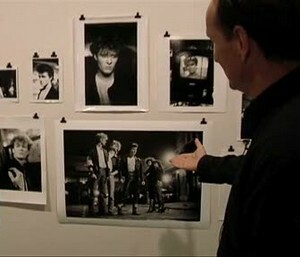 It features a selection of Loomis’ a-ha photos between 1985 and 1991, taken in the UK, Canada and Brazil. The book also includes a foreword written by Magne, an interview with Morten (done by Loomis himself) and a text written by Paul. There are also interviews with Warner executive Jeff Ayeroff and graphic designer Jeri Heiden. “We recognised in Just someone whose ambition and passion for photography matched our own ambition and passion for music: he wanted to take great pictures, we wanted to make great music“, Magne writes in the foreword. 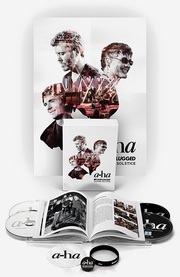 The book release tied in with the opening of Loomis’ exhibition As We Are at the Stenersen Museum in Oslo on Thursday, February 10th, which also features some of his a-ha photos. Update: Just Loomis has posted a couple of pictures from the opening on his Facebook page. Here he is with Morten, Magne, The Swing Of Things author Jan Omdahl and head of Press Publishing Håkon Harket. And here is another one with Morten and Jan.
A TV interview with Loomis from NRK Østlandssendingen can be seen here. There were also interviews with him at Dagbladet.no and Foto.no. “This is the first time I’m in Oslo and it’s a great honour for me to show these photos now, following a-ha’s farewell tour”, Loomis says in the Foto.no interview. “It’s very special for me to be among those who were there from the start, taking part in the process that eventually turned a-ha into international stars”, he added to Dagbladet. The exhibition at the Stenersen Museum is on display until April 3rd. 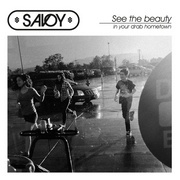 The photo book, which will be available outside of Norway next month, can be pre-ordered from Amazon.com and Amazon.co.uk. If you’re in Norway, the book is now available from online stores such as Bokkilden and Haugen Bok.